Posted on August 1, 2017 . 3 Comments. Learning to listen to your body is a skill in and of itself. Once you begin listening and truly understanding your body—whether it is regarding strength or mobility—not only will your gains come more quickly, but also in a much safer fashion. One of the ways we can start learning to hear our body and its needs is through the understanding of baselines. A baseline simply means “something to measure by” to understand where you are making gains, where you have hit a plateau, or when a skill needs additional work to improve. This baseline is defined as the loads you can currently lift in all basic skills with minimal effort from day to day without having to warm up. While we all know strength is relative—each of us is endowed with different genetics and abilities compared to each other—each of us can increase our overall baseline of strength with smart training. From time to time, you may focus on specific goals. This should allow you to peak in one area while your baselines in other areas are maintained. By increasing your overall baseline in all basic movement patterns, any new strength gains will be easier to keep with minimal effort. By knowing your baselines across all the basic movement patterns, you can also begin to read your body better. Example 1: If on most any given day I can military press 16kg for five reps on each side, but it feels extraordinarily heavy today, then I need to assess what factors have caused my baseline to be compromised for this training session. Did I not sleep well? Did I have extra stress the day prior? Or is my body telling me it needs an extra day of rest or a modified light training day, even if a heavy day is scheduled? Example 2: If I perform my normal 16kg for five reps on each side, but it feels extremely light, then today would be the day to test a new one-rep max. Back in 2009, I set my sights on the Iron Maiden and began training. At that time, I had far less understanding of program design and a much lower baseline of strength—hence, my three-year journey to claim the Iron Maiden (IM) title. But while it took me a while to earn the title, that journey taught me so much about listening to my body and the importance of baselines. The pull-up was my most difficult of the three lifts. After thousands of pull-ups, I finally achieved the 24kg pull-up in 2012. After achieving the IM title, I took a break from weighted pull-ups for quite some time. I switched gears to focus on bodyweight skills in order to obtain the coveted one-arm push-up and pass the SFB Certification. I continued to track my sessions and listen to my body from day to day to determine what was the best load to train. Through my bodyweight training journey, I learned that I had increased my strength to a much higher baseline and maintaining skills was much easier than in the past. After about four years off from weighted pull-ups, I decided to program them back into my training. But to do so properly, I needed to know my baseline, so I tested my 1RM weighted pull-up and achieved an 18kg. 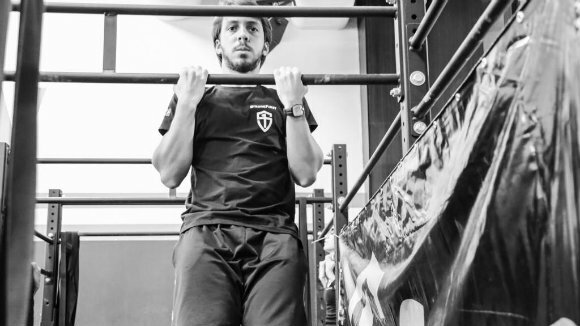 I then designed a six-week pull-up strength building program. And in just six short weeks, I was back to the 20kg. This proved that with an overall higher baseline of strength I could return to the 24kg in far less time than when I had initially set my sights on achieving the IM pull up (remember, I had a three-year journey the first time around). Tracking all your sessions will help you understand patterns in your training and enable you to regress and progress for quicker gains. These patterns will help you better wave the load in your program design. 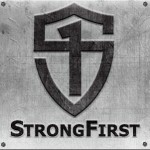 Once you have increased your overall baseline of strength, it will be easier to access higher levels much more quickly. There are three areas that should be added to your training if you would like to increase your overall baseline. We teach the SFB students about the three most powerful neural generators in your body: glutes, abs, and grip. By adding the training of these into your strength program, your baseline of strength will increase to new levels. You can use Captains of Crush grippers or bottom-up kettlebell skills to test your grip baseline. This baseline can be defined as your current range of motion in your desired skills. If you know an assessment that allows you to know your mobility baseline, then using it at the beginning of each session will help you determine if you have a green light to proceed with your scheduled training. If you test your baseline at the beginning of your session and earn a red light, then you know you need to assign yourself additional mobility work. 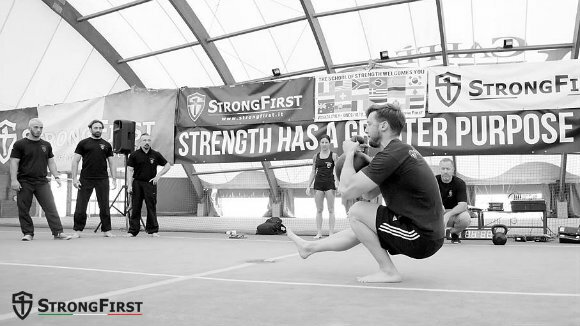 Example 1: If you want to train pistols, then you’ll need to first test your ankle mobility. At the SFB Certification, we teach students to use the feet together-knees together squat as the baseline test for ankle mobility. After setting this baseline, we proceed to mobility drills and return to re-test our feet together-knees together baseline. Doing this will show us which drills improved ankle mobility and, consequently, improved the squat test baseline. As soon as the baseline is improved enough to perform a pistol, then we can proceed according to our program. Example 2: If I want to train any overhead lift, I test my thoracic spine and shoulder mobility. I know from experience that if I have been sitting on a plane, then I more than likely need additional warm-up work, but I always test my baseline first to be sure. If my baseline shows a green light, then I can proceed with my training session, but if it shows a red light, then I add additional warm-up drills before proceeding with my overhead training. If green light, then proceed. If red right, then perform corrective drill. If green light, then proceed. If red light, then perform additional drills. If still a red light, proceed with regressions or take a rest day. Test baseline next training session and proceed accordingly. It is important that you assess your body and set baselines for all the basic movements that can be tested at the beginning of your session. Your baselines will help you achieve quicker strength gains and help keep injuries at bay. By having a baseline to test before each lifting session you will begin to train smarter, not harder. Great post, Karen! Thank you for sharing! what is your test for T-spine mobility? This is good enough for two excellent articles! Baselines for strength, baselines for mobility. Even better when combined. Great stuff.